Matilda (Special Edition) on DVD Just $4 + FREE Shipping with Prime! You are here: Home / Great Deals / Amazon Deals / Matilda (Special Edition) on DVD Just $4 + FREE Shipping with Prime! Here’s another great movie deal for you! 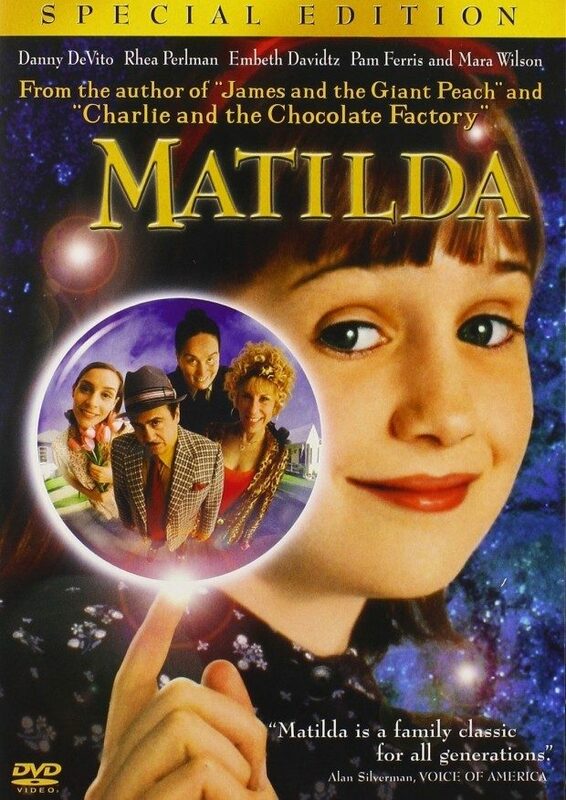 Head over to Amazon and get Matilda (Special Edition) on DVD for just $4! Shipping will be FREE with Amazon Prime or an order of $35 or more. See the world from a kid’s-eye view with MATILDA, a modern fairytale that mixes hilarious humor with the magical message of love. Mrs. Doubtfire’s Mara Wilson stars as Matilda, a super-smart little girl who’s woefully misunderstood by her parents (Danny DeVito and Rhea Perlman), her brother, and anevil school principal. But with the help of a brave best friend and a wonderful teacher, Matilda discovers she doesn’t have to get mad to get even. 2013 BD Release: From best-selling author Roald Dahl and the unique vision of Danny DeVito comes Matilda, remastered in high definition! This modern-day fairy tale mixes hilarious humor with a magical message of love. Mrs. Doubtfire’s Mara Wilson stars as Matilda, a super-smart little girl who’s woefully misunderstood by her parents (Danny DeVito and Rhea Perlman), her brother and an evil school principal. But with the help of a brave best friend and a wonderful teacher, Matilda discovers she doesn’t have to get mad to get even.